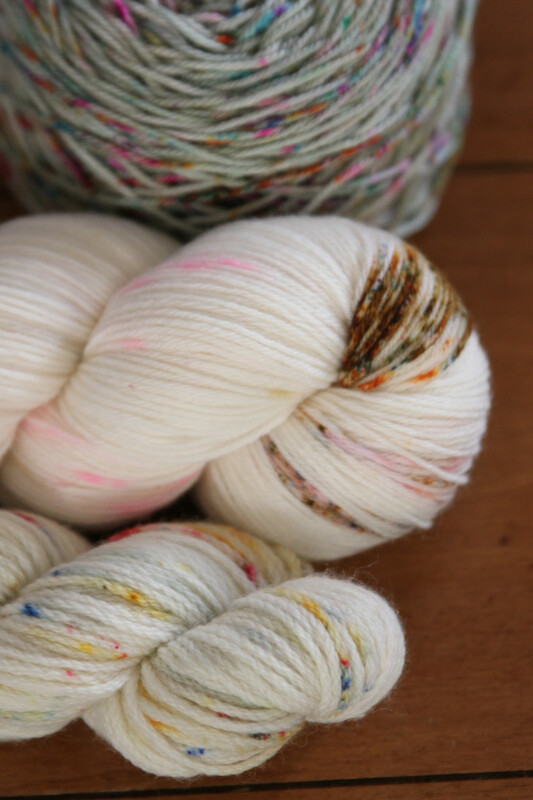 I am in possession of some “speckled” handpainted yarn. I picked up a couples of skeins by a few different dyers during my trip to the NYC. 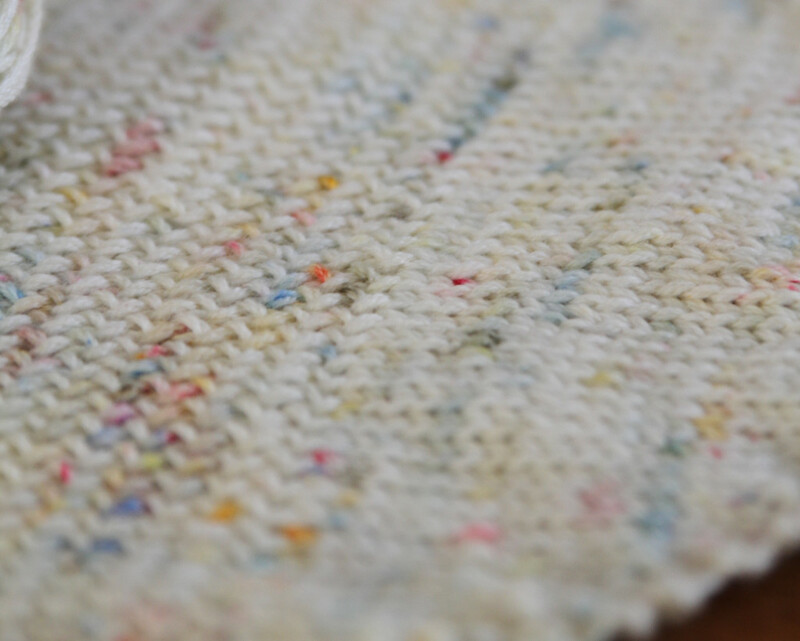 Right now I am knitting with some Koigu Kersti (a dk weight yarn) I picked up at Purl Soho. 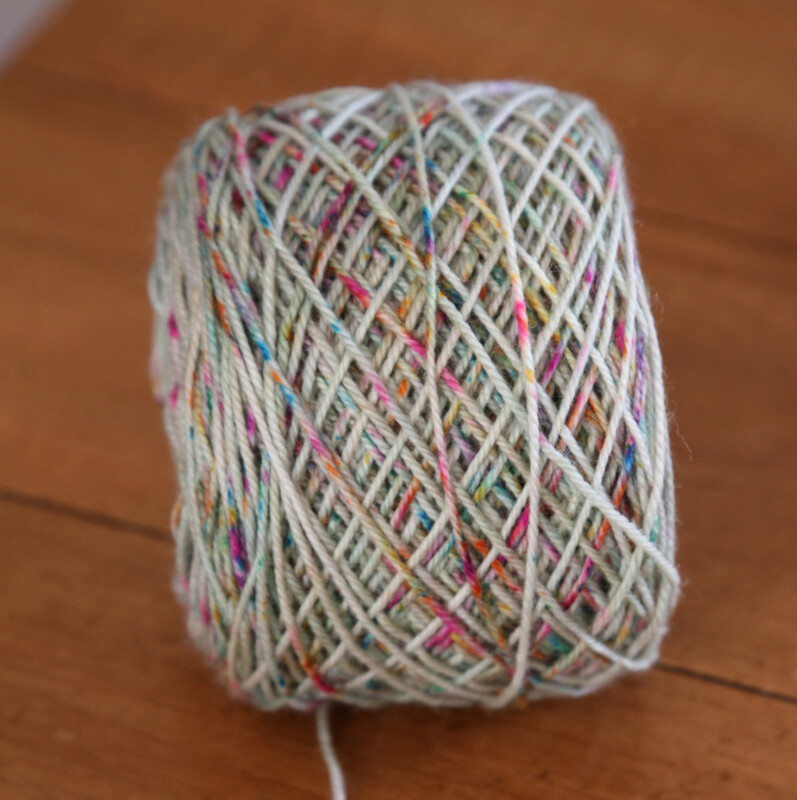 I can’t say enough good things about this yarn. I decided to use it for a Cabin Four’s pattern “Pure Worsted” (IMPORTANT NOTE: I am knitting this in a different weight then the pattern calls for, but I think the yarn will work perfectly (if I add more repeats so I don’t make the shawl to small)). I do have a few things in the “What would I do differently“(WWID) category, but they are so minor ( I would have held yarn double and made more rows of the 1st section,( just in case you were curious)).